Pole banners can be used to decorate your city streets for St. Patrick's Day! You can get pole banners with a St. Patrick's Day message. 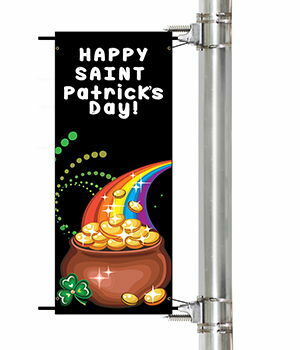 You can also get pole banners for holiday events, parades, business events, or anything else you have going on for St. Patrick's Day. Double sided pole banners have printing on both sides of the material. There is a pole pocket at the top of the banner and at the bottom of the banner. The pole banners also have a grommet in all four corners. The pole banners are typically attached to street lamps and poles using a bracket system. If you are interested in a bracket system, please contact a customer service representative. We have several templates available for you to customize in the online designer. You can choose from our wide selection of backgrounds and clip art images. You can also add text and upload your own images in the online designer. You can also upload your own print ready files, or have one of our graphic designers create your artwork for you. To get started, select your options below. 24.0" 25.0" 26.0" 27.0" 28.0" 29.0" 30.0" 31.0" 32.0" 33.0" 34.0" 35.0" 36.0" 37.0" 38.0" 39.0" 40.0" 41.0" 42.0" 43.0" 44.0" 45.0" 46.0" 47.0" 48.0" 49.0" 50.0" 51.0" 52.0" 53.0" 54.0" 55.0" 56.0" 57.0" 58.0" 59.0" 60.0" 61.0" 62.0" 63.0" 64.0" 65.0" 66.0" 67.0" 68.0" 69.0" 70.0" 71.0" 72.0"
24.0" 25.0" 26.0" 27.0" 28.0" 29.0" 30.0" 31.0" 32.0" 33.0" 34.0" 35.0" 36.0"
Double Sided Pole Banners are digitally printed in full color. The standard material is 13 oz scrim vinyl. All of our banners are guaranteed for quality and to be shipped on time. All banners ship UPS. 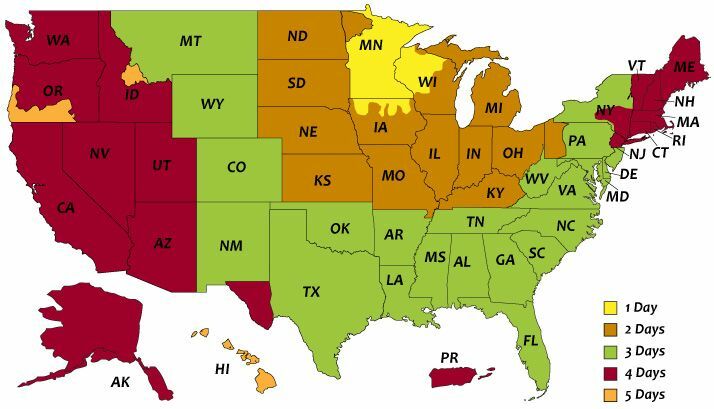 Please specify which shipping method you would like when you place your order or it will be shipping via UPS Ground. 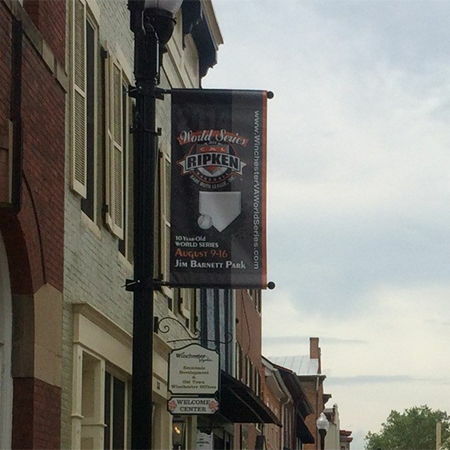 Here is a photo of a Double Sided Pole Banner that we printed for the City of Winchester. 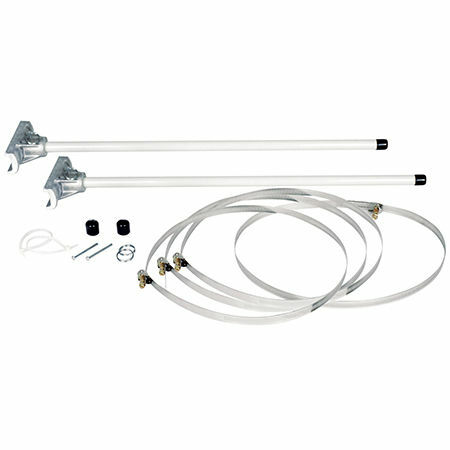 Our Standard Bracket System is used indoors or outdoors. It is more commonly used for short term events where banners are switched out often. The arm brackets are stationary and are not designed to flex. 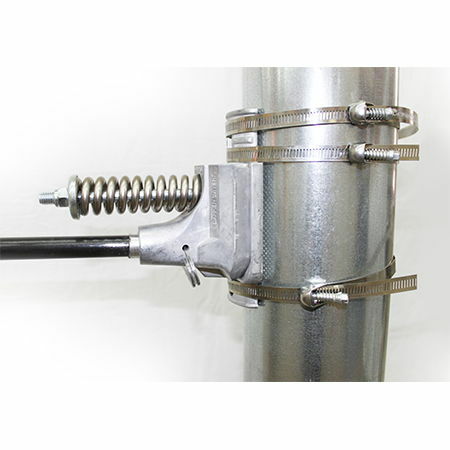 Our Wind Deflecting Bracket System is the best choice for long-term outdoor applications. 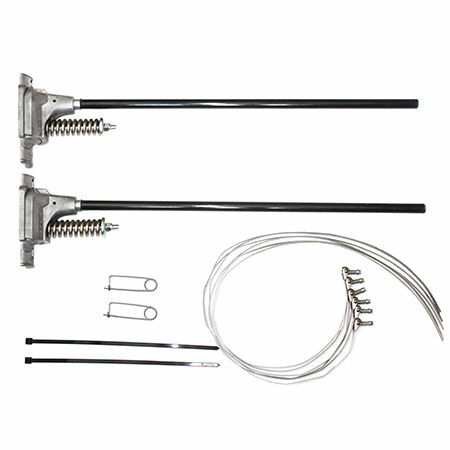 Arms and springs of brackets are engineered to properly disperse wind load by flexing with strong winds. 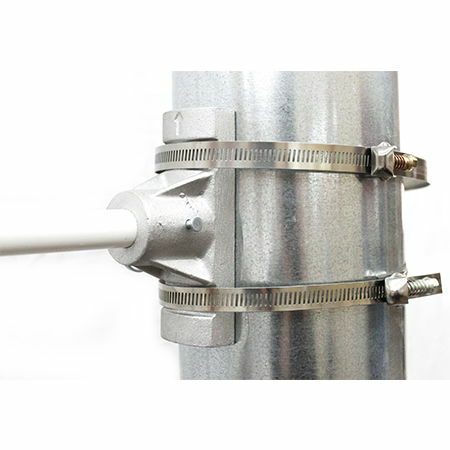 It is worth the extra cost of this bracket to increase the longevity of your banner.